Our Bachelor Bachelorette Party limo services offer the flexibility and safety needed for this special night. Just tell us which direction to go, and we will do the rest! Our chauffeurs know all of the best nightclubs in Vancouver and surrounding areas. Your memories of this event will last a lifetime. We are committed to providing the best service and experience possible in order to make those memories some of the best you'll ever have. 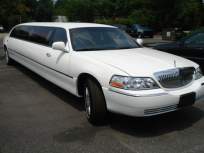 Delta Limo can help you make this a Bachelor or Bachelorette Party the groom or bride will never forget. Delta Limo will handle the transportation to let you concentrate on nothing but having a good time. Booking with Delta Limo for your Bachelor Party is almost as fun as the party itself! We understand that you want to enhance your party and provide safe transportation for you and your guests. ·Color TV, AM/FM Stereo, CD/DVD player with remote. ·Fully stocked with: Complimentary beverages, Water, Juice, Sodas. ·Complimentary of iced bottle of champagne. Please call 604-597-9040 to reserve your Bachelor or Bachelorette Party limo and let the celebration begin.